Home Tech Talks Techno Babble: What Do Power Supply Ratings Mean? Even though it’s an afterthought for most builders, the power supply is actually one of the more important parts of a build. Picking a quality power supply can mean the difference between a well running system and one that suffers from crashes and boot failures. Worse yet, cheap generic models can literally explode into flames (yep, I have had this happen to me before), taking the rest of your computer with it. Intense workloads such as video rendering or heavy gaming can trigger these failures, as the power draw in these situations is considerably higher than at idle. 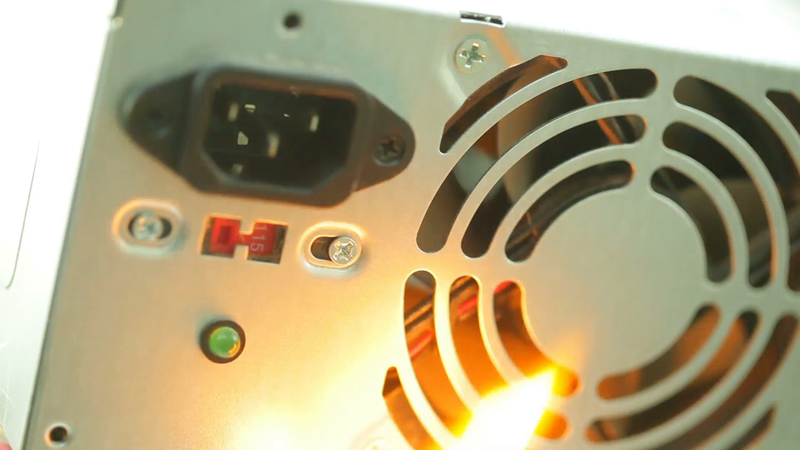 There are many factors to consider when purchasing a PSU (power supply unit): form factor, connections, overall wattage, rail specific power, and efficiency rating. Whilst I am going to focus on efficiency rating today, overall wattage is going to be discussed as well. There are several misconceptions when it comes to choosing a PSU, the most common being that you should purchase the highest wattage PSU that you can afford. So, what does efficiency mean? Efficiency is calculated by dividing the power being delivered to the PC (DC power/output) by the power being consumed by the PSU (AC power/input). This is important, as any remaining input power is converted into heat. For example, a 600-watt power supply with a 60% efficiency running at full load would draw 1000 watts from the wall; resulting in the remaining 400 watts being wasted as heat. If that same 600-watt PSU had an 80% efficiency at full load, then it would only draw 750 watts from the wall; therefore only wasting 150 watts as heat. As you can see, as the rating increases from PLUS to PLUS Bronze etc., so does the efficiency percentage. You may also notice that for each rating, each tier is most efficient at 50% load (power supplies do not present constant efficiency, the graph for efficiency is a bell curve). The sweet spot for power supplies is between 50% -75% load, and by that I mean that is where they run comfortably. When a PSU is running at 100% it puts strain on all of the internal components of the unit and generates the most wasted energy as heat. Likewise, the stress a PSU experiences when operating at a lower percentage loads is-in some instances-more stressful than at 100% load. This is why choosing a PSU that is suitable for your system is important. If you purchase a 1500 watt PSU, but your system only requires 250 watts under full load, then the PSU would only be operating at a 17% (rounded up) load. So in this instance-regardless of the efficiency rating-your actual usage is extremely inefficient. This is not necessarily bad for your PC, but bad for your PSU as well as your electricity bill. For a novice, this is quite difficult, as many will want to just purchase the highest wattage PSU they can afford. Whilst the reasoning behind PSU selection takes years of experience to fully master, in this day and age we have extremely helpful online calculators. I recommend using this one, as it allows for some advanced selections such as any overclocking you may be applying as well as your peripherals. To provide you with the best results, please try to be as accurate as you can. I recommend any PC owner to input their specs to ensure that your current PSU is within the recommended range. In my case for example, the calculator estimates that my load wattage is 502 watts. Now I could get away with using a high-quality 600W PSU, but I instead opted to use purchase an 850W unit with an 80 PLUS Gold efficiency rating. This means my PSU will operate within that 50% – 75% ‘sweet spot’ I mentioned when my PC is at 100% load. This provides my expensive equipment with a reliable and stable platform. If you have ever tried overclocking your components and your PC has either locked up or you have received a BSOD , there is a good chance it has been due to your PSU. Once you have decided on how much wattage you require and the desired efficiency rating, please try to stay with recognised brands. 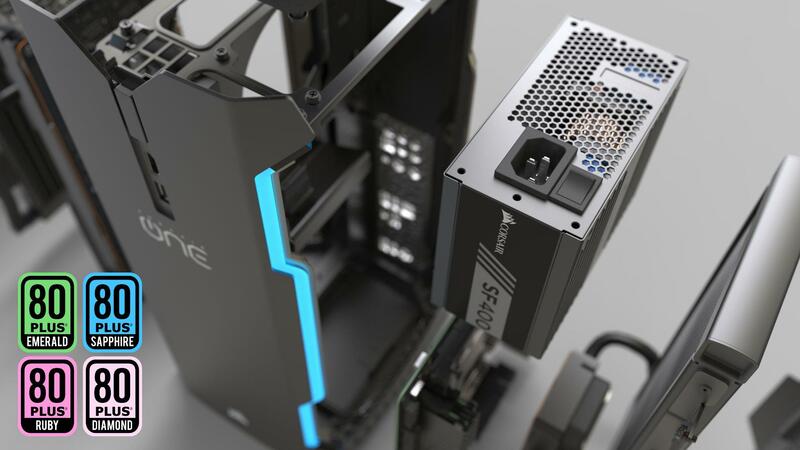 The PSU is one of the few parts of a PC where name actually matters, as reputable brands will provide you with a lengthy warranty and usually good customer support. When I lived in South-East Asia, I made the mistake of purchasing a PSU which on paper appeared amazing. Not even a month later, it launched a fireball out of the back and subsequently died; causing some key components on my motherboard to also fail. As the old proverb states: buy cheap, buy twice. Buying a cheap (which is usually inferior) product is a false economy, as it will likely need a replacement. With a component as important as the PSU, you certainly do not want to cut corners; as you risk damaging many of the other components within your PC. It hails from a reputable brand – Corsair, Rosewill, Coolermaster, Enermax, Seasonic, Silverstone, etc. It has been certified 80 PLUS. For power users such as gamers and overclockers, I recommend at least 80 PLUS Gold. It should come with at least two years of warranty, with most high-end models offering a five-year warranty. It has passed rigorous testing by credible review sites, as well as stood up to peer-reviews. Recommendations from actual users can be useful as well.